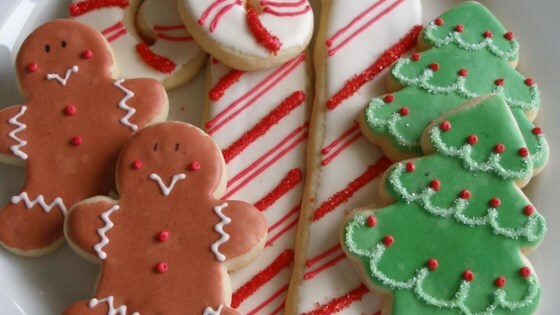 "Soft cut out sugar cookie that I have used for years. I sprinkle with colored sugar before baking or you could also try icing them when cool." Buttery sugar cookies perfect for the holidays or any occasion.